yeah. we’re cool like that. 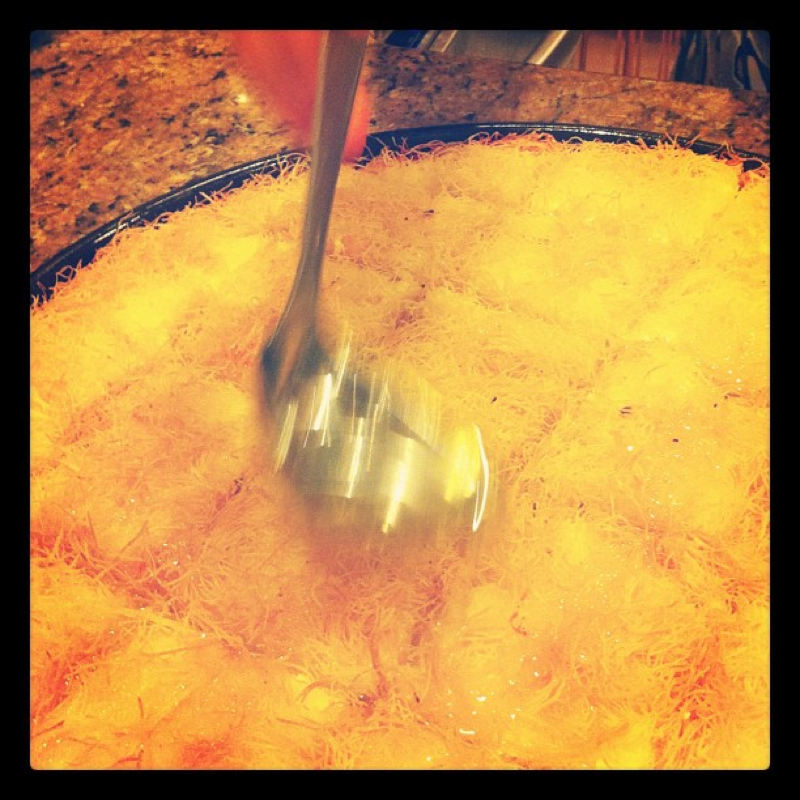 my lovely lovely Fatimah makes a fantastic kanafa. seriously. fantastic. crispy on the edges, creamy on the inside, and perfect with a cup of tea. she makes it regularly, and i never, ever get tired of it. i’ve watched her make it so many times, and last time I finally wrote it down. YOU’RE WELCOME, INTERNETS. 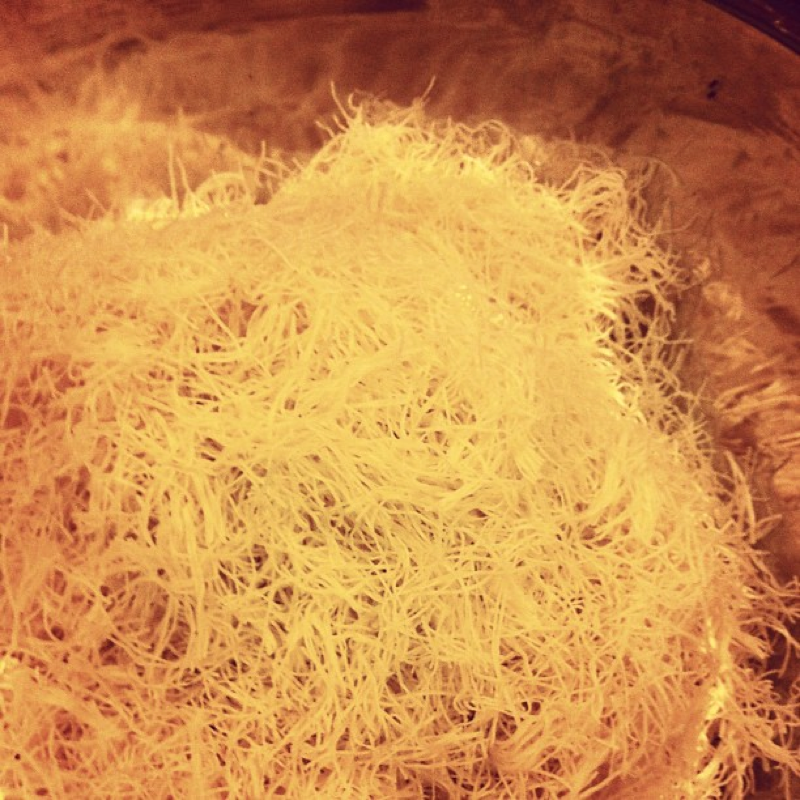 Kanafa coloring (an unflavored powdered food coloring you can get from an Arab grocery store. You can leave it out, or substitute any other color you want). 1. mix 1/2 stick of melted butter and kanafa coloring and spread it onto a big nonstick pan (fatimah uses a very large pizza pan). melt the rest of the butter with the fillo dough and spread half the dough on the bottom of the pan. 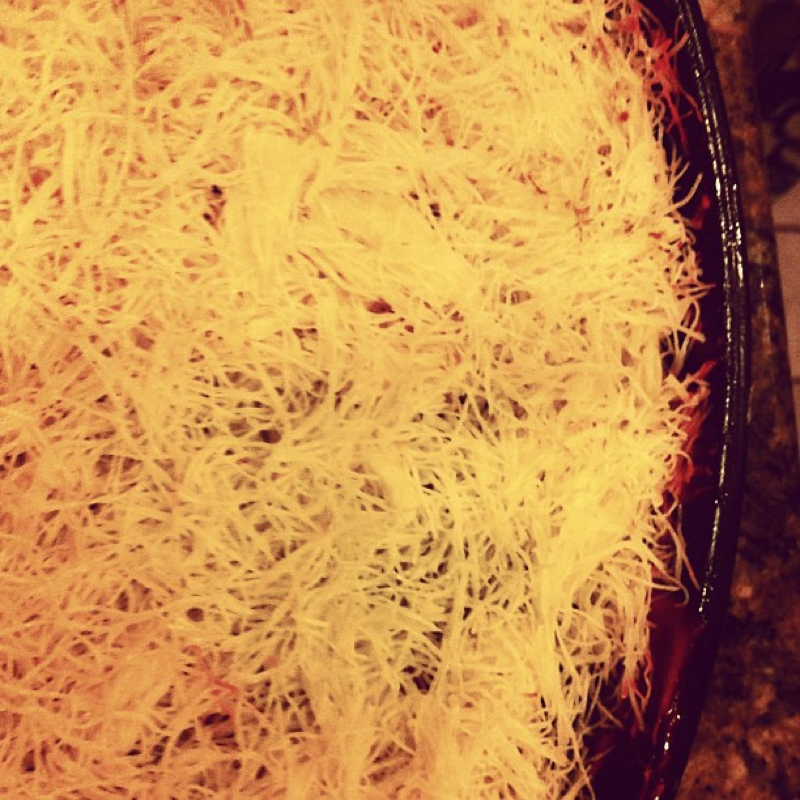 2. mix the cheeses and spread evenly across the dough. 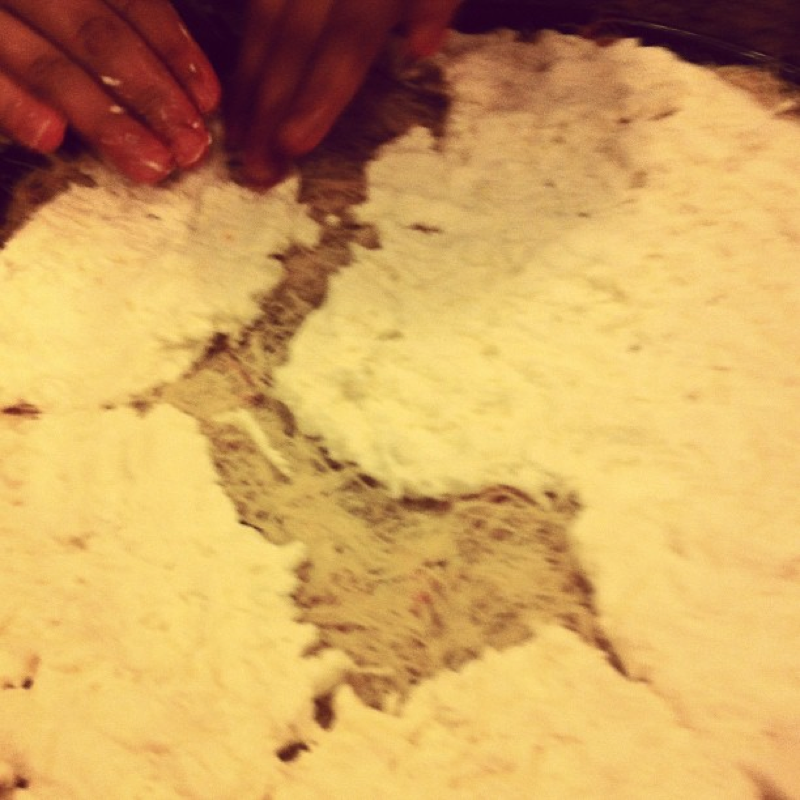 3. top with the rest of the buttered dough. 4. bake at 400F for 30 minutes and slice quickly when it comes out of the oven. 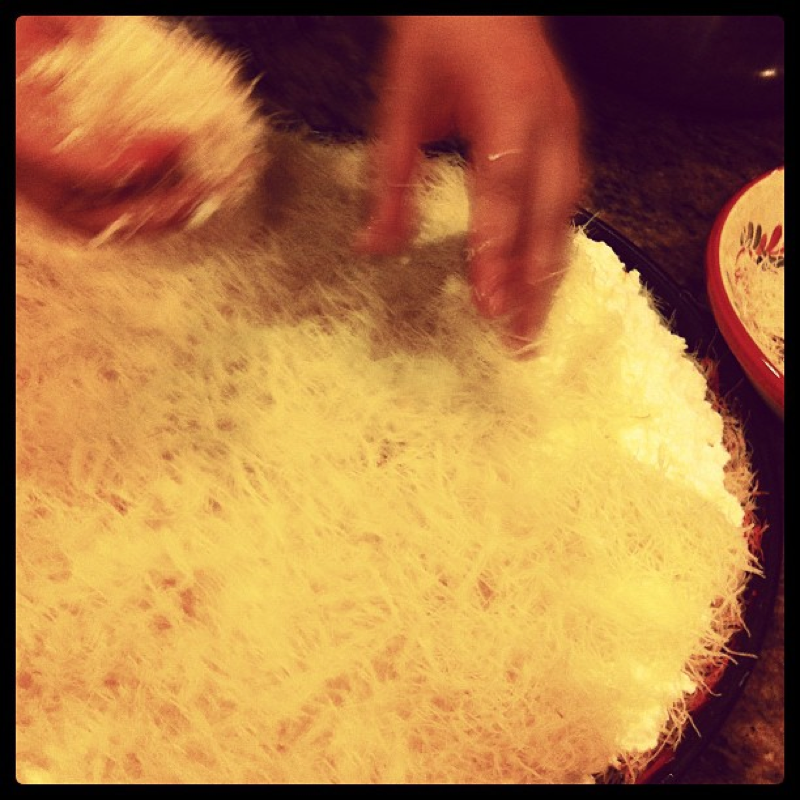 Pour the room-temp syrup over the kanafa while the kanafa is hot. 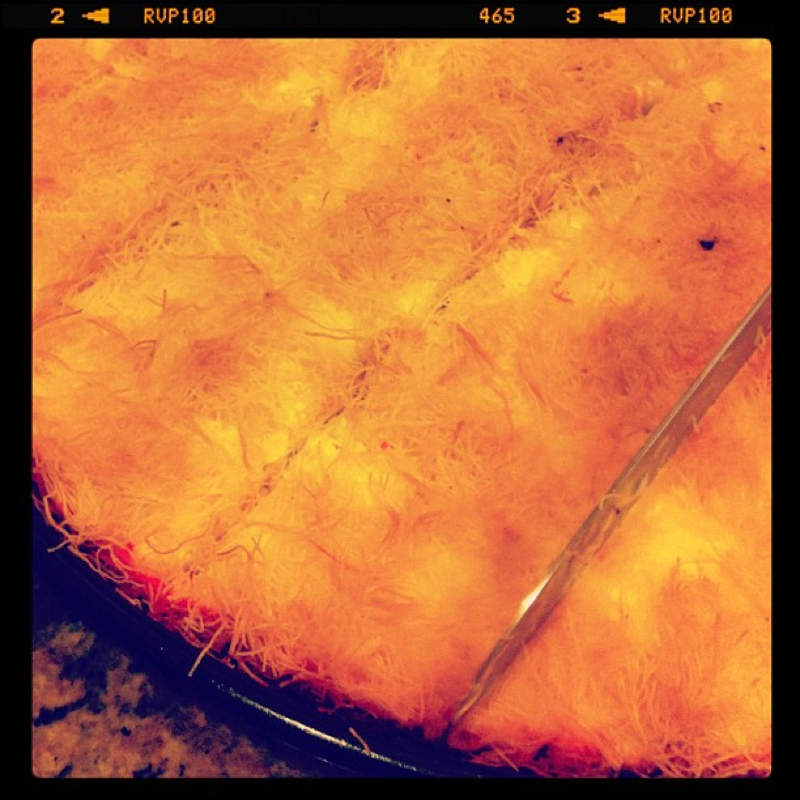 Serve in squares, flipped pink side up. 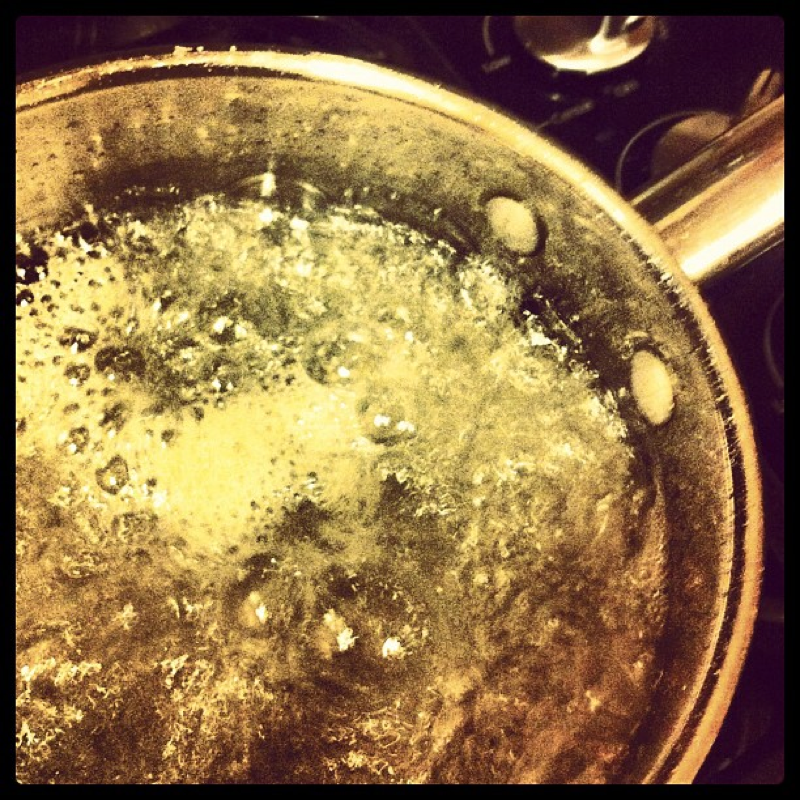 cook the water, lime juice, and sugar on a rapid simmer/low boil, until the sugar dissolves and the mixture becomes syrupy, about 15 minutes. add orange blossom water. remove from heat and let cool to room temperature. note on the sugar syrup: you can really change things up here with the flavoring. instead of orange blossom water, you could use vanilla and/or almond extract, or rose water extract. 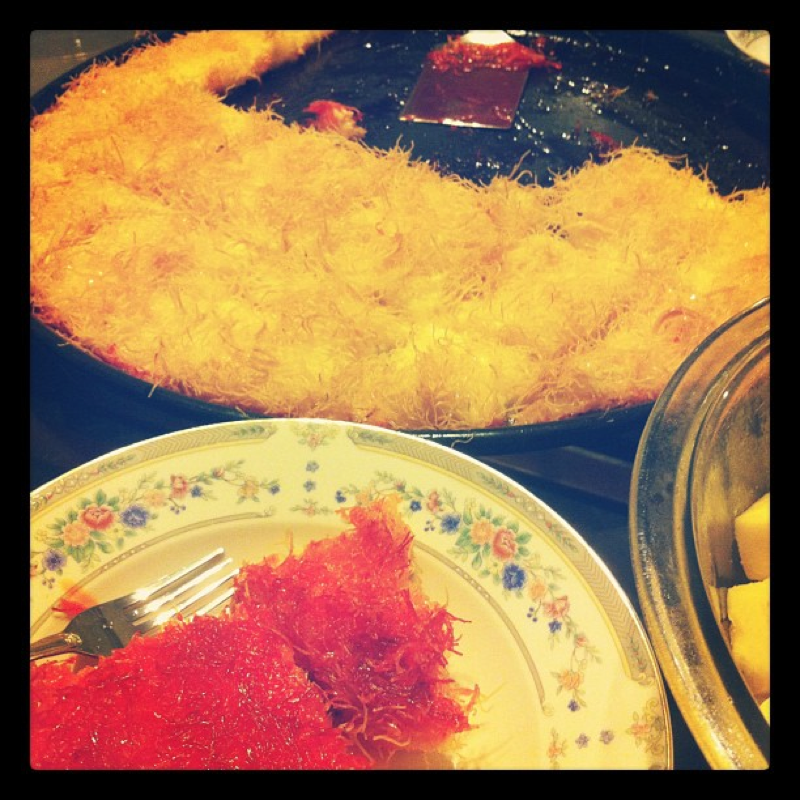 once, Fatima and I accidentally left the sugar syrup on the heat for too long and it caramelized – we just whisked it with some warmed honey, added some orange zest, and made a delicious golden-colored burnt sugar-orange-honey kanafa.